Not sure if you've noticed, but the line between personal care and food is becoming blurry. Seriously - have you read labels on skincare products recently? If you have, you've probably wondered if ingredients like vitamins, enzymes, probiotics and soy do anything for your skin. The answer is yes - your skin loves these ingredients! Let's take a deeper look into enzymes and their skin benefits. First off – what are enzymes? Simply put, enzymes are chemicals that speed up the rate of chemical reactions. They’re useful in biological processes because they aren’t consumed in chemical reactions themselves. Plus, enzymes make a reaction that normally requires very high temperatures occur at normal body temperatures. The food industry uses enzymes to help produce things like cheese and wine as well as ripen fruits and even tenderise meats. So how does the skincare industry use them? What makes enzymes beneficial for skin? When it comes to caring for your skin, enzymes provide two primary uses – exfoliation and anti-inflammation. Enzymes are effective but at the same time super-gentle exfoliants. The great thing is that they get the job of sloughing of dead skin cells done without irritating your skin like most scrubs do. You see, the upper layer of your skin is mostly made of dead skin cells that contain a protein known as keratin. What enzymes do is they break down the keratin and renew your skin. The result? A smooth, flawless complexion! What’s more is enzymes protect against free radical damage, oxidative damage, sun damage, environmental pollutants and even acne. So, if you’re looking for a great anti-ageing remedy to add to your skincare routine, look no further than enzymes! What are some of the best enzymes for skin? 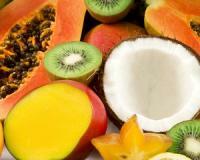 Enzymes to look out for include papaya, blueberry and pineapple. You can use these enzymes in a number of homemade beauty treatments, from creams to face masks. You can even buy readymade skincare products that are infused with fruit enzymes, such as fruit-based facial treatments and fruit enzyme acid peels online. Here’s to happy, healthy, beautiful skin!